From the creator of “Weeds” comes a heartbreaking and hilarious new series set in a women’s prison. Piper Chapman’s wild past comes back to haunt her, resulting in her arrest and detention in a federal penitentiary. To pay her debt to society, Piper trades her comfortable New York life for an orange prison jumpsuit and finds unexpected conflict and camaraderie amidst an eccentric group of inmates. Three Emmy Award wins including David Fincher (“The Social Network”) for Outstanding Directing for a Drama Series and nine nominations including Outstanding Drama Series went to this acclaimed political thriller. Lead Actor nominee Kevin Spacey stars as ruthless, cunning Congressman Francis Underwood, who will stop at nothing to conquer the halls of power in Washington D.C. His secret weapon: his gorgeous, ambitious, and equally conniving wife Claire (Lead Actress nominee Robin Wright). After turning state’s evidence against a powerful Mafia boss, former gangster Frank “The Fixer” Tagliano trades the mean streets of New York for the icy fjords of Norway, forging a new life among the locals of Lillehammer under the guise of Norwegian-American immigrant Giovanni Henriksen. The relative calm suits him at first. But it’s not long before Frank’s ruthless methods resurface, stirring the suspicions of his next-door neighbor, the chief of police. Emmy winner Bryan Cranston stars as Walter White, a high school science teacher who learns that he has terminal lung cancer and teams with a former student to manufacture and sell high-quality crystal meth to secure his family’s future. When his brother, Lincoln, is wrongly convicted of murdering a powerful politician’s brother, structural engineer Michael Scofield resolves to bust his innocent sibling out of the notorious Fox River State Penitentiary. Loosely inspired by the career of psychologist Paul Ekman, this engaging crime drama focuses on the work of Dr. Cal Lightman, whose knowledge of human facial and behavioral cues lets him determine whether a person is telling the truth. A little shady deal here, a little ethical entanglement there — it’s a way of life for Sean McNamara and Christian Troy, Miami doctors who own an exclusive plastic surgery clinic that generates as much trouble as it does cash. When escaped serial killer Joe Carroll goes on a new killing spree, reclusive former FBI agent Ryan Hardy is called in, having captured Carroll nine years ago. Hardy soon discovers that Carroll has a loyal following of killers ready to terrorize. A group of high school students in 1980 faces various social struggles. Lindsay Weir rebels and begins hanging out with a crowd of burnouts, courtesy of an invitation from Daniel Desario. Have anything you’d change or add to the list? Add it in the comments. MTV was like an underground movement led by rebels & rock stars. The same thing is happening now with Web TV and streaming video; Though don’t expect to see a TV campaign pushing for it. At least not yet. 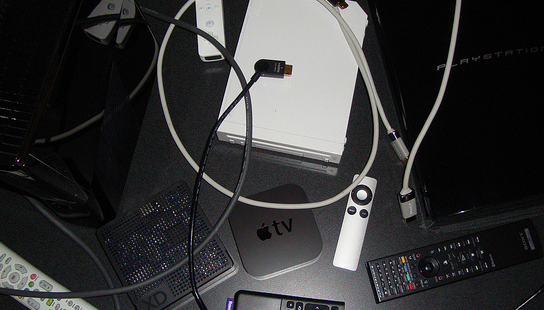 More than two years ago I cut cable and moved into the web TV world. What was a bit rocky at first is now a more intuitive TV experience than ever. Technology can change a lot in two years. And not too long from today, our current Television format will seem archaic. The entire system is wrong. Web TV gives the shows a chance, gives users a chance to watch the content. Without force-feeding it down their throats. Because it’s on the user’s schedule, not the network’s. But it’s almost crazy to think Netflix will topple the entire cable landscape. There is a more likely scenario. Netflix and its future competitors will force cable and premium cable companies to overhaul the formula and its pricing structure. Which will result in a Hulu-Plus-like TV experience. I’m starting to believe the future of TV will be a mesh of live content and on-demand offerings. A show may still premier at 7pm EST, but it will be available on-demand after it’s aired. Where will the content come from? A network? Or Netflix? Yes and yes. Netflix, or something like it, will still exist in 10 years. It’ll be the new HBO. Comcast-like cable will be delivered via the Internet, featuring both live and on-demand programming. And the rates? Much lower. Greater value in the eye of the customer. What sets Web, or streaming, TV apart is on-demand content. All access. Including full seasons of shows, from the first episode to the last. What that means: more viewers for the content and the advertising. An almost unlimited shelf-life. But the ads within the content could be updated at any time. Will this really happen? Well, Comcast began testing IPTV at MIT last year. What it means for advertisers: proof. Like Google analytics TV. A recent article from VentureBeat echoed my statements, also suggesting that a web-tv future would not only be more user friendly but would also make the current Nielson rating system obsolete. Allowing networks to evaluate not only viewership, but comments, likes, and other activity over a period of time. 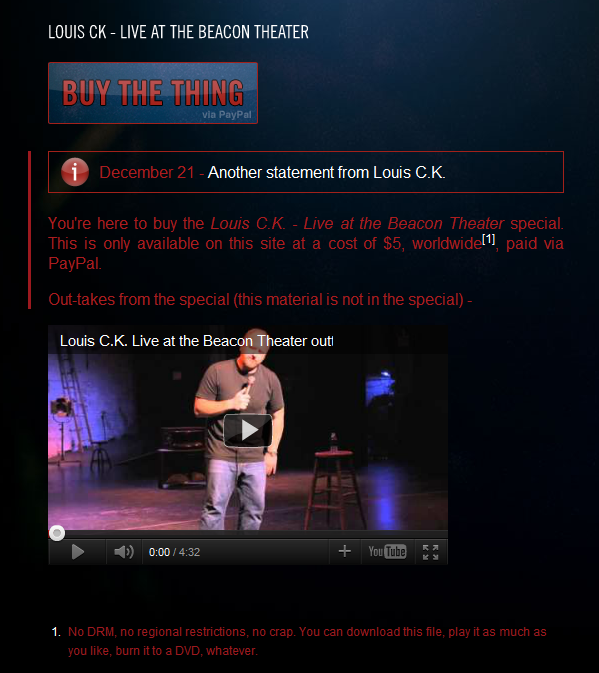 As I’ve said all along, products, more info and purchases will be only a button-click away. It’s a monumental time for TV. If cable is scared now, this could very well be the calm before the storm. They’ll be forced to change. Or fall into obscurity. Like a stagnant MySpace, ignorant to the startup that would become Facebook. Cable better adapt its structure and pricing soon, before subscriptions drop. The MTV movement was iconic. 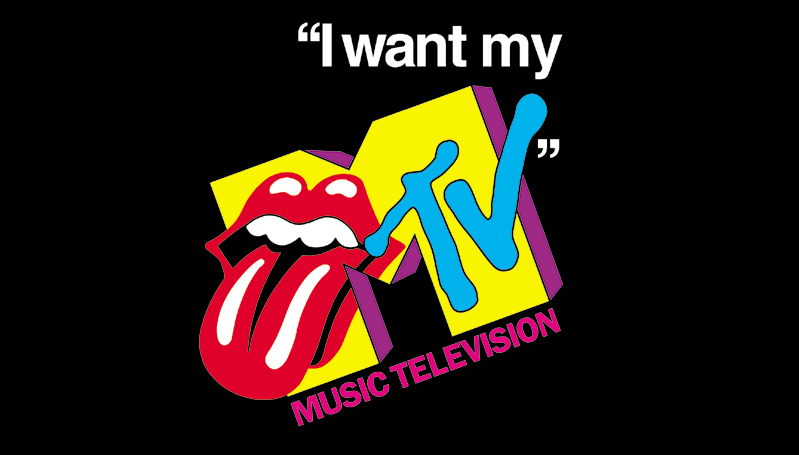 The commercials urged viewers to call their cable company and say they want their MTV. Put to a catchy tune, it hit the airwaves. And it worked. We’re in a similar scenario with Web TV and streaming video. And the cable companies will again get calls. Though this time the callers won’t be begging for MTV. They’ll be calling to cancel.